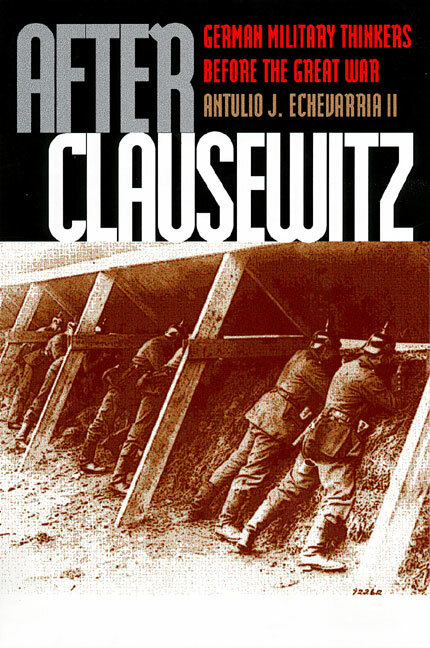 The writings of Carl von Clausewitz loom so large in the annals of military theory that they obscure the substantial contributions of thinkers who came after him. This is especially true for those German theorists who wrote during the half century preceding World War I. However, as Antulio Echevarria argues, although none of those thinkers approached Clausewitz's stature, they were nonetheless theorists of considerable vision. The Kaiser's theorists have long been portrayed as narrow-minded thinkers rigidly attached to an outmoded way of war, little altered since Napoleon's time. According to this view, they ignored or simply failed to understand how industrialization and modernization had transformed the conduct of war. They seemed unaware of how numerous advances in technology and weaponry had so increased the power of the defensive that decisive victory had become virtually impossible. But Echevarria disputes this traditional view and convincingly shows that these theorists—Boguslawski, Goltz, Schlieffen, Hoenig, and their American and European counterparts-were not the architects of outmoded theories. In fact, they duly appreciated the implications of the vast advances in modern weaponry (as well as in transportation and communications) and set about finding solutions that would restore offensive maneuver to the battlefield. Echevarria goes on to suggest that attempts to apply new military theories and doctrine were uneven due to deficiencies in training and an overall lack of interest in theory among younger officers. It is this failure of application, more than the theories themselves, that are responsible for the ruinous slaughter of World War I. Lieutenant Colonel Antulio J. Echevarria II is director of national security studies at the Strategic Studies Institute, U.S. Army War College. His articles have appeared in the Journal of Military History, War in History, War & Society, Parameters, Joint Force Quarterly, Military Review, and Airpower Journal.